Graham Edmond is Head of Network Maintenance for Transport Scotland and is leading efforts to ensure that Scotland’s trunk roads are maintained and adapted to the impacts of climate change. He shares his views on the challenge of adapting to climate change. 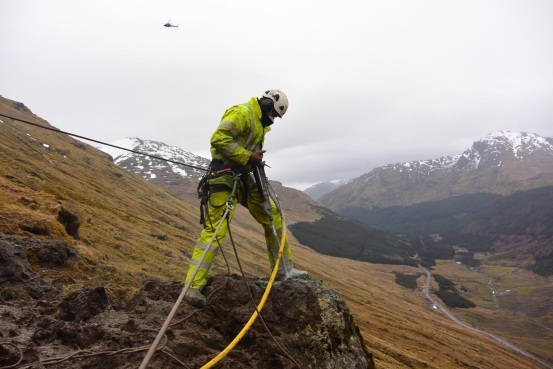 I am responsible for the maintenance of Scotland’s 3,600 km strategic trunk road and motorway network. Long term thinking is necessary as good maintenance is all about maximising the life of a vital asset to the economy and protecting the considerable investment we are making in new and improved roads. A well maintained road can be a wonderful way to view our outstanding scenery but my job is not without its challenges. Of all of the challenges we face, climate change is perhaps the most important. We have set challenging targets for carbon reduction but these must be equally balanced by those for adaptation. 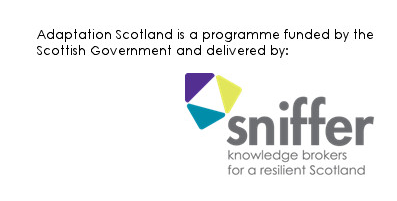 Transport Scotland leads the transport sectors adaptation work for the Scottish Government and as well as my maintenance role I am also managing this adaptation work for the Agency. Road transport in particular is critical to the functioning of the economy, even more so in parts of Scotland where isolated rural communities face lengthy and costly diversions when road links are cut by flooding, landslides or fallen trees. Predictions suggest a stormier and wetter climate in the future and the A83 at the Rest and be Thankful in Argyll, which has been the focus of Transport Scotland’s efforts in the last few years, has certainly provided regular reminders of this! I have a few old books about road construction and maintenance. One of these includes cross sections of a well-drained road. Good guidance then and now. Adaptation does not need to be complicated. Adaptation has however been the poor relation to its sexier “mitigation” cousin. If you haven’t yet done so I recommend reading the recently published DfT “Transport Resilience Review” in which Richard Brown CBE provides some excellent conclusions and recommendations. Of particular merit is the suggestion that investment is made in maintaining existing assets, that collaboration is encouraged and communications strengthened. Events such as the winter of 2013/14 are an excellent wake-up call and I welcome that adaptation is being moved up in national and political consciousness. Adaptation needs more than a knee jerk reaction however. Long term thinking and investment are both necessary – we are on the start of a journey we must complete. This entry was posted in General, Uncategorized on August 5, 2014 by Anna Beswick.